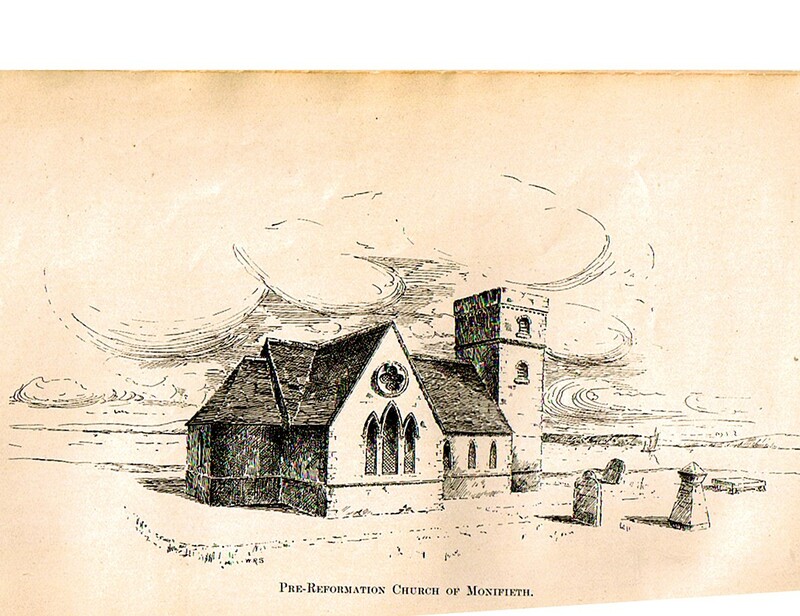 The controversy regarding the derivation of the name Monifieth could hold the answers to the past importance of Monifieth as a religious centre. The registered coat of arms, designed after 1896, carries the feature of a stag`s head and a hill signifying the combination of two gaelic words Monadh Feidh. There are however two other very similar sounding gaelic words Monaich Fother, meaning monks land or holy place. Undoubtedly over the passage of time Monifieth has been regarded as a historical holy place. The Church of St Rule in Monifieth is built on what at one time in the past was the site of a centre of worship of the Companions of God and the Celtic Church of St Columba. It was the `mother church` with four daughter chapels, Eglismonichty, Chapel Dockie, Kingennie and Brochty, later St Margaret`s at Barnhill, all under the jurisdiction of St Rules. 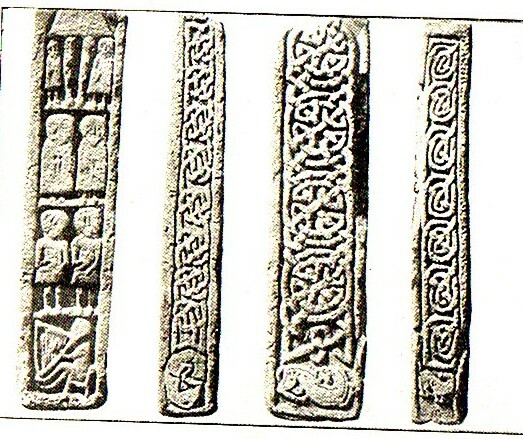 Following the arrival of St Columba on Iona in 563AD, there was an attempted conversion to Christianity of the Pictish nations by his disciples or followers. At the time of the death of St Columba in 597AD there were between 59 and 300 christian settlements in what is now known as Scotland. Monifieth and St Andrews being among them. Monifieth being located in South Pictland, the learned gentlemen of the kirk , narrowed down the establishment of Christianity in the area to between 570 / 580 AD. The close proximity of the Laws, with it`s fortifications, broch etc., in association with the souterrains at Ardestie, Carlungie and Ardownie, it was most certainly a very important Pitish settlement. The story of the relics of St Andrew being brought to the north side of the river Tay, in their mission to spread the Jesus gospel, was quite possible. Legend has it this was at the time of King Oengus (Angus) of the Picts , who reigned from 729 to 762 AD and his wife Queen Fichem, who had a royal Hall at Moneclatu, (Balmossie Moor). It was Oengus who gifted land to the monks for the building of the Cathedral at St Andrews. The site of Eglismonchtistrathdichty , Church of the holy place by the Dichty, being the revered location where the sacred bones were `rested on a crag overlooking the Dichty`. The follower of St Columba worshipped St Andrew (Celtic Church) not St Peter (The Roman Church). The Celtic Church lasted in Monifieth long after it had disappeared in other districts. They owed allegiance to the Bishop of Alba at St Andrews, with no connection at all with the Pope in Rome. It is a well recorded fact that most of the Pictish stones on display today have been recovered from within the graveyards or Church building of a great age. This theory is substantiated by the recovery of sculptured stones, which formed part of the pre Reformation building, with some being incorporated into the present Church. One stone, most probably the shaft of a free standing cross, was discovered by workmen employed to dig a well within the grounds of Ashbank, which is located opposite the Church. The Fonstane, wrongly named and identified, is of ancient origins and now recognised as the base for a `free standing ` cross or boundary marker. 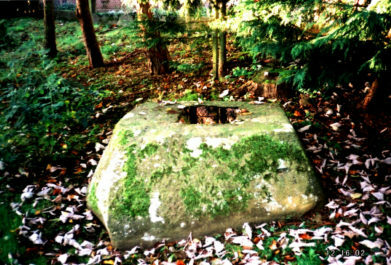 The stone is still located on the original site in close proximity to the Church. The stones indicate the existence of Pictish culture and the early Celtic Church on the site. The early Picts were Druids , who worshipped in green wooded areas. It has been considered possible that this could have been , where the new Seaview School is built ,on the former Glebeland, ie church ground, also possibly a site for a monastery, if one existed. The title of Abbot did not always relate with there being an Abbey. The Grange or Grangaria ( Church Land) was the storage area for tiend sheaves, taxes paid to the Abbey. In the year 1178 when King William the Lion built Arbroath Abbey, there were many ecclesiastical buildings being taken from the Celtic Church and gifted to the clergy of Rome. About 1205 this was confirmed by the Earls of Angus and the Pope. Monifieth had been given to Arbroath Abbey. In 1243 another charter confirms the lands of the Abbey of Monifieth, were in the hands of Nicholas, Priest of Kirriemuir, who was Abbot of Monifieth. Grange , an estate within the Parish boundaries of Monifieth was at one time “home farm” of the Abbey of Arbroath. Early in the fourteenth century Grange was separated from Arbroath Abbey and granted to Sir William Durham by King Robert the Bruce for services rendered as a knight. 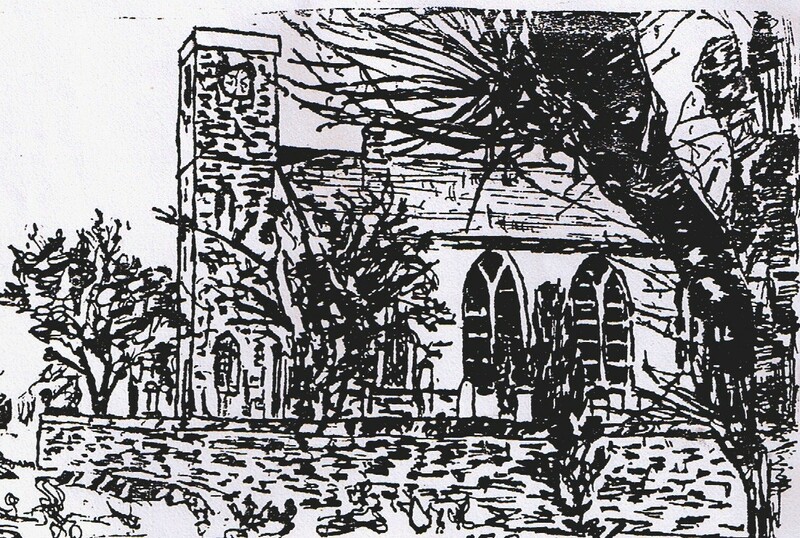 For nearly four hundred years the Grange remained in the possession of the Durham family whose close connections with St Rules Church are to be viewed within the graveyard and the famous Communion Cups. Legend has it that another religious order existed in the area, the Knights Templars, a monkish order of Knights, which operated between the twelfth and fourteenth century. 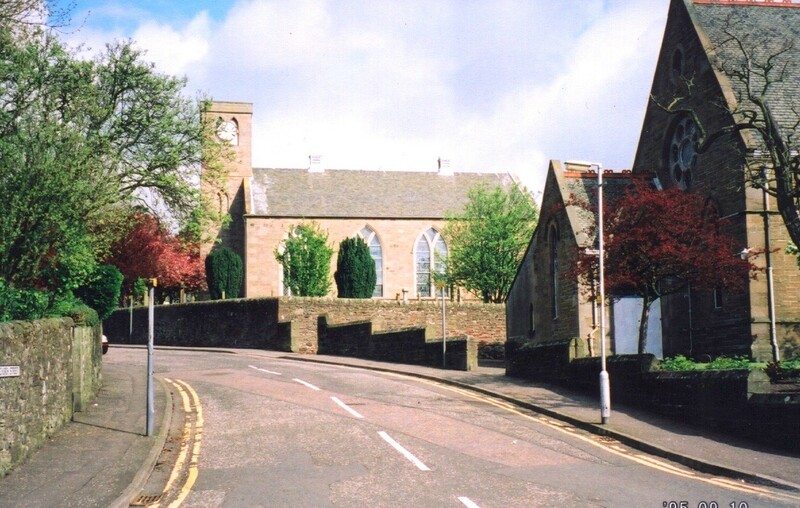 The pre Reformation Church was demolished in 1812 with the present building being erected in 1813.The re-cycled roof timbers used in it`s construction were originally from the demolished parts of Balmerino Abbey having also been used within two church buildings in Dundee. The Church in Monifieth has been a place of worship for many important families in the area. Durham of Grange, who was a keen Protestant, frequently visited by his relation John Erskine, of Dun. John Knox, was also known to have visited Grange of Monifieth on many occasions. The Maule family, Earls of Panmure, had a castle at Ardestie in Monifieth, which was for almost forty years the main residence of the Maules. Over the years small pendicles and crofts gradually appeared around the area of the Parish Church. The nineteenth century and the industrial revolution changed Monifieth, with the establishment of a spinning works, two foundries producing machinery for export. The gravestones adjoining the Church, are a written record of the development of what was a small crofting community, into a busy industrial town. It also records the local noble families such as the Durhams and the captains of industry the Low family. The Monifieth Public School in Maule Street, having been built when he was chairman of the School Board, the Gerard Cottage Hospital, now St Mary`s residential home and the Gerard Hall. Four of the largest buildings in Monifieth, still existing today, have been closely connected with the Rev. Dr. James Gerard Young, who was the Parish minister for forty four years, having been called in 1855. 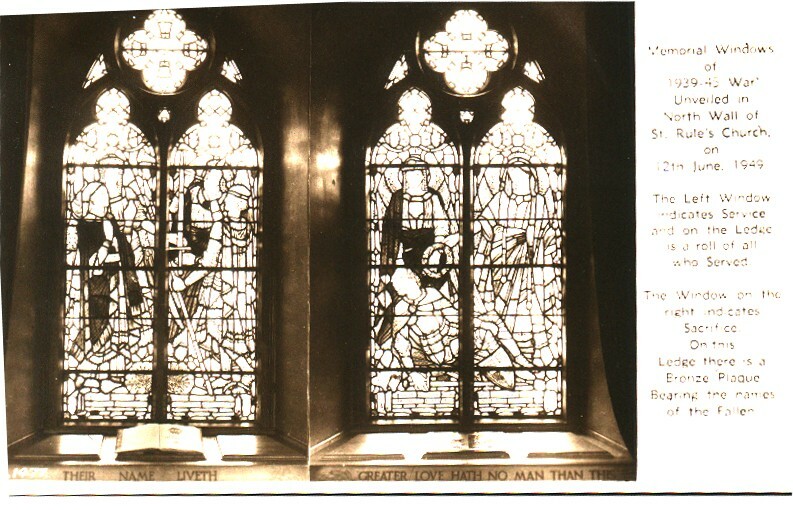 Within the Church is a memorial window dedicated to those who gave their lives during the World War. The text reads….. Unveiled on the north wall of St Rules Church on 12th June 1949. Bronze Plaque bearing the names of the fallen. 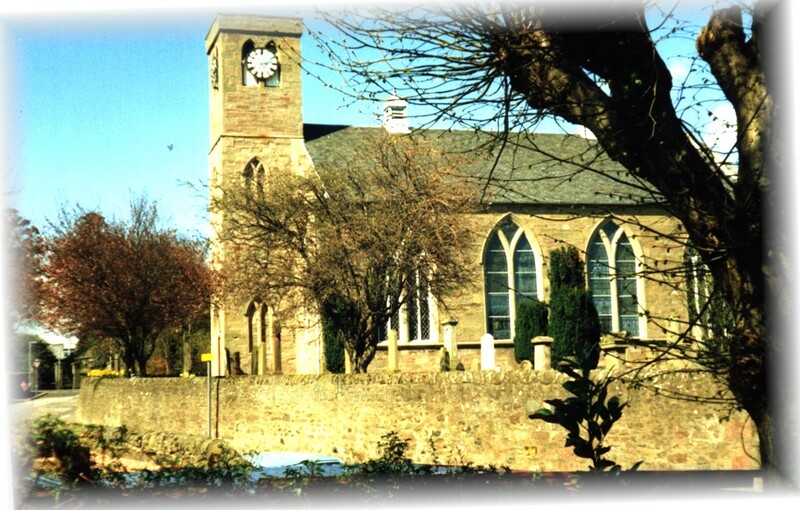 In brief Monifieth and the local area`s heritage is the building and the ground surrounding what has for so many centuries been known as St Rules Church. 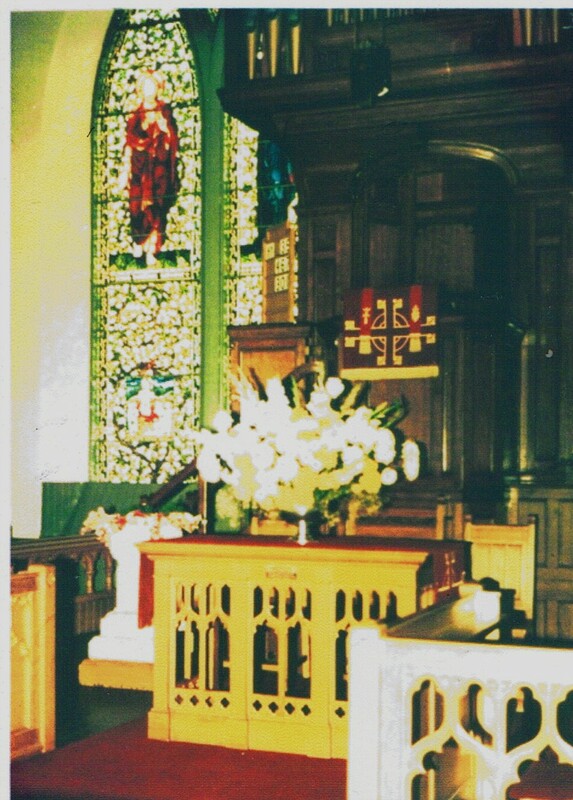 The `inside` picture was taken before the choir stalls etc were removed during renovations circa 1970`s. This entry was posted in Church and tagged Ardestie, Ardownie, Dighty, Durham, Eglismonichty, Fichem, Grange, Hungas, John Knox, St. Andrew, St.Columba. Bookmark the permalink.